Ready, set, swing—the Dorchester Collection’s historic five-star country house hotel Coworth Park rings in the start of the polo season with an overnight experience worthy of royalty. Curated by Guards Polo Academy manager Ebe Sievwright, a polo champion, the programme offers something for serious players and rookies alike. Think tailor-made masterclasses, practice sessions on state-of-the-art high-goal fields, a stay at the stately mansion house, delicacies by Michelin-starred chef Adam Smith and even cocktails with an England polo team member. You might even rub shoulders with a royal or two. It would take a lot to lure holidaymakers away from the Maldives’ pristine beaches, but a luxury underwater excursion aboard the latest addition to the Deepflight fleet of submarines, the Super Falcon 3S, would do it. The world’s first three-seater submarine, launched exclusively at the Four Seasons Resort Maldives at Landaa Giraavaru in April, is a battery-powered eco-friendly vehicle that will whisk two guests (along with a professional pilot) on a cruise through the underwater wonderland of Baa Atoll, the Maldives’ only Unesco biosphere reserve. Ever dreamt of traversing African game parks to see exotic wildlife and picturesque landscapes—and with a supermodel by your side? Belmond has partnered with British model and showjumper Jodie Kidd to host a six-night horseback safari in Botswana in September. Spot elephants, hyenas and lions in the Savute region and the Okavango Delta from a saddle, an open-air car and a helicopter. Traditional dinners, campfires and sunset cruises are also on the agenda. Home will be Belmond’s plush Savute Elephant Lodge and Eagle Island Lodge. Sandwiched between picturesque rice paddies and beaches, the village of Canggu on Bali’s southern tip has long been the secret of locals and a few adventurous surfers. But now, with the opening of Como Uma Canggu, travellers after a more luxurious experience have somewhere to lay their heads. The stylish resort offers everything you would expect—including a chic beach club, spa and a wellness-focused juice bar—as well as a series of more adventurous offerings, including surfing lessons by expert coaches from leading surfing company Tropicsurf. 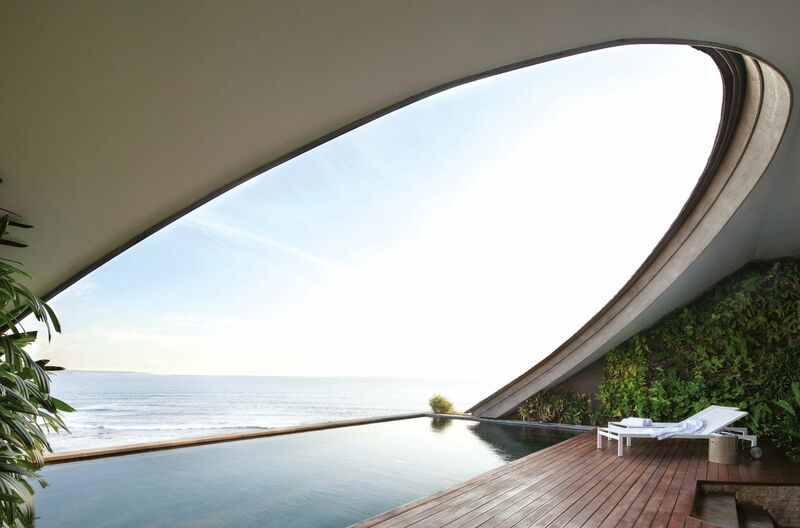 If you can, book the penthouse, which has its own private rooftop pool overlooking the Indian Ocean. Clocking in at 362 metres long and with a capacity of 6,680 passengers (plus a 2,200-person crew), Royal Caribbean’s US$1.95-billion Symphony of the Seas—the biggest and most expensive cruise ship ever built—is a sight to behold. Boasting all the trappings of an ultra-luxe resort and more, the 18-decker houses the tallest waterslide at sea, twenty-two restaurants, live entertainment including a stage production of the Tony Award-winning musical Hairspray and seven themed ‘neighbourhoods’, such as the ship’s Central Park, which is packed with 12,000 tropical plants. The most spectacular room is the 1,346-square-foot family suite, equipped with an in-room slide, a floor-to-ceiling Lego wall, a popcorn machine and a full-size whirlpool. The cruise is based in Barcelona for its first season and begins Caribbean voyages in November.